The TAB GEAR Str8Laced shooting bag is an ultra light weight support bag, designed to help a shooter build a stable shooting position and increase points of contact. The size and shape of the bag provides different deployment options due to the 550 cord and webbing straps on each side of the bag. It provide 3 distinct positions: flat (3” height or less), side (3-6” height), or upright (up to 9” height). 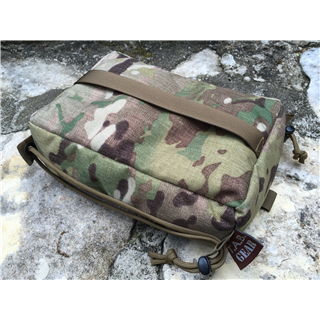 The TAB GEAR Str8Laced Shooting Bag is very versatile, rugged and as a result can be used as a rear bag or barricade support bag. The CTS CoreBean™ Lanyard System is now available in order to attach your shooting bags to your rifle stock/chassis using various QD attachments. 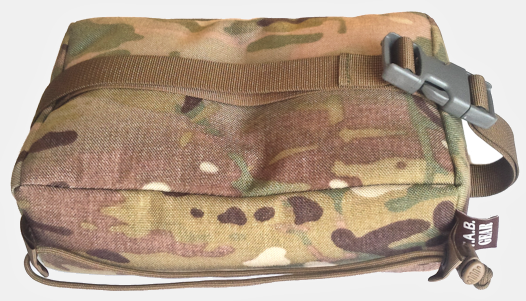 It can also be modified to accommodate other types of attachment devices such as Carabiner, Sling Swivel and HK Hooks to connect the shooting bag to rifle stocks, belts, backpacks and other equipment. The CTS CoreBean™ Lanyard System is sold separately. The CTS CoreBean™ Webbing System is now available allowing you to attach your shooting bags to your rifle forend. This provides a stable platform during shooting from a barricade, tubular objects and hard surfaces. The CTS CoreBean™ Webbing System is sold separately.